Black Lives Matter activist DeRay Mckesson arrested in Baton Rouge. A woman protesting the shooting death of Alton Sterling is detained by law enforcement near the headquarters of the Baton Rouge Police Department in Baton Rouge, Louisiana, on Saturday. 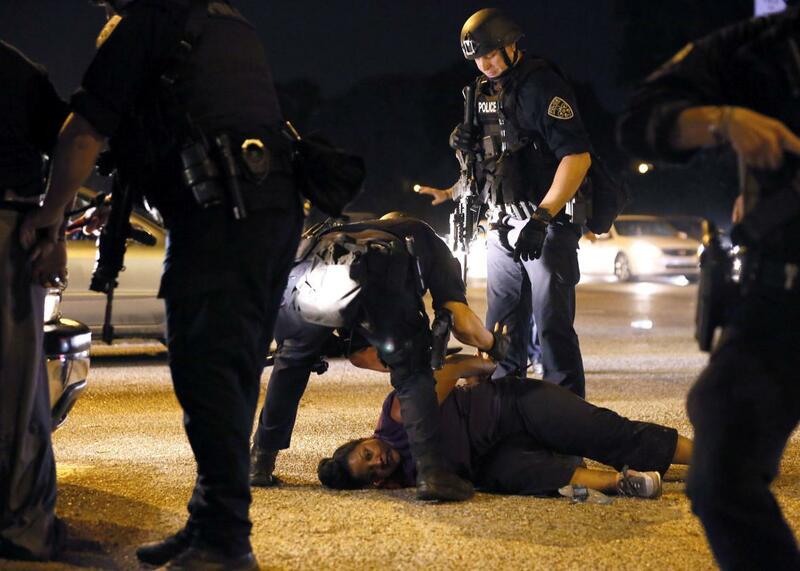 Hundreds spent the night behind bars on Saturday after thousands of demonstrators took to the streets of major U.S. cities to protest the killings of Philando Castile in a suburb of St. Paul, Minnesota, and Alton Sterling in Baton Rouge, Louisiana. * More than 200 people were arrested in Baton Rouge and St. Paul alone, including prominent Black Lives Matter activist DeRay Mckesson, who broadcast his own arrest live on Periscope. Mckesson, a Baltimore resident who has emerged as one of the most visible voices of the Black Lives Matter movement, was arrested at around 11:15 p.m. after police warned protesters in Baton Rouge not to go into the road. McKesson repeatedly notes in his Periscope video that there was no sidewalk. “They are literally just provoking people,” McKesson says in the video in which he repeatedly complains about how police had been provoking protesters. The video then gets shaky: “City police. You’re under arrest. Don’t fight me. Don’t fight me.” And then Mckesson shouts: “I’m under arrest, y’al!” Somebody then grabs the camera and other protesters demand answers from the police.
.@WWNO reporter remains in police custody on one count of obstruction of highway. 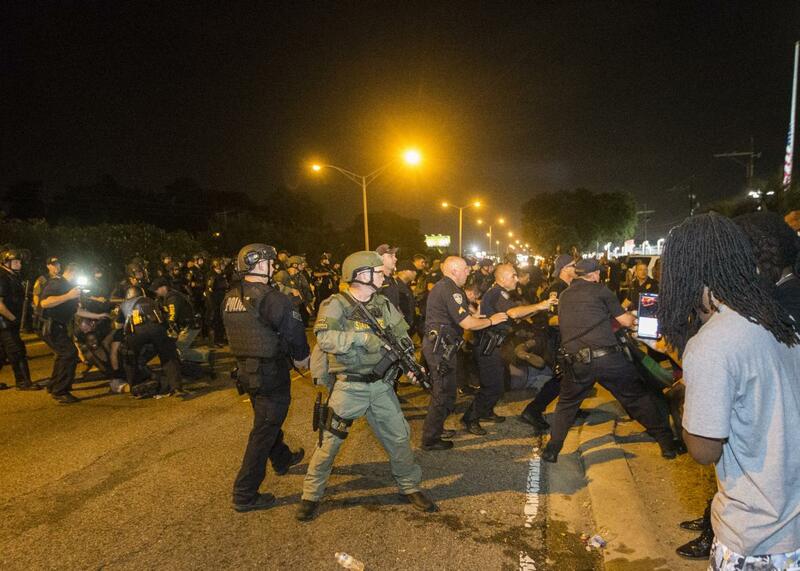 Police rush the crowd of protesters and start making arrests on Saturday in Baton Rouge, Louisiana. 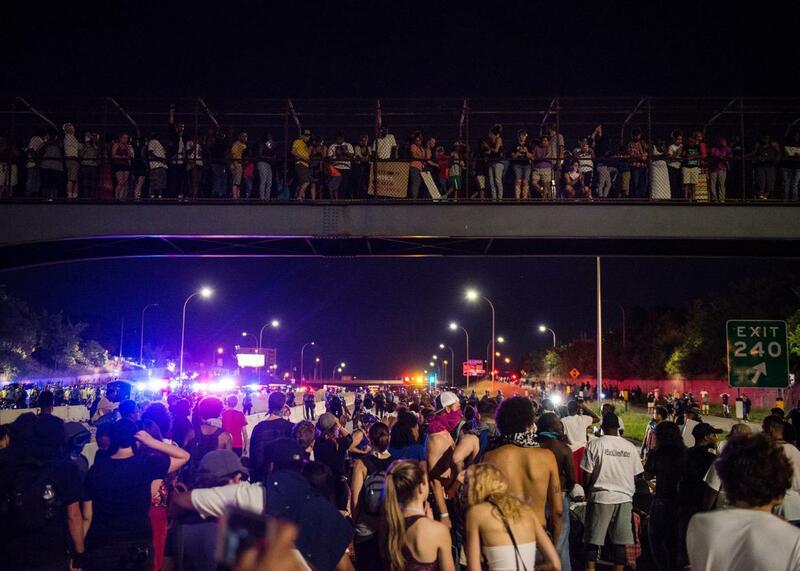 Protestors shut down highway I-94 on Saturday in St. Paul, Minnesota. There were also protests in other major cities, including Atlanta, Miami, New York, Nashville, and Washington, D.C., among others. 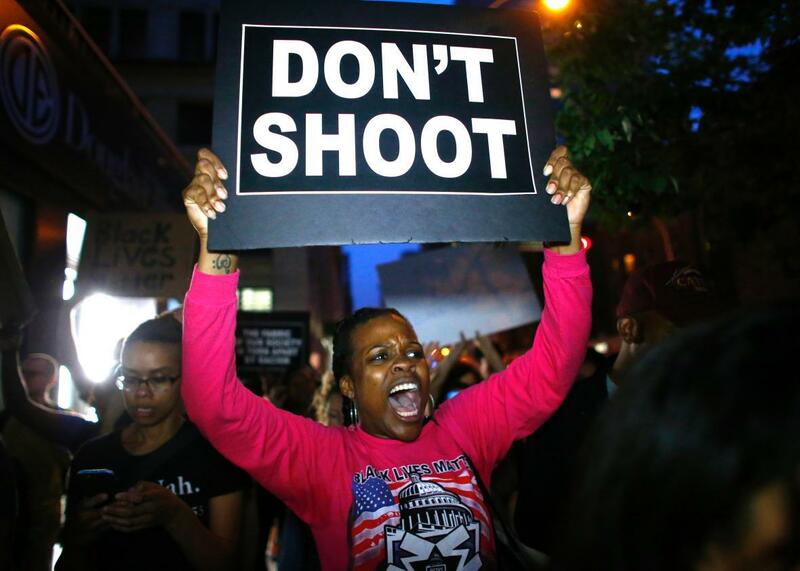 A woman holds a banner during a protest in New York on Saturday. Correction, July 10, 2016: This post originally misspelled Philando Castile’s last name.